ely wines for summer continues, and this week we’ve chosen an outstanding Italian to drag you out of that Pinot Grigio slump, and a classic all-round red that drinks well in the sunshine but also quenches those red wine cravings that weeks of sunshine and white wine leave you with! Pinot Grigio is so ubiquitous these days that it has become a brand in itself. Many people simply order a glass without even asking what it is; because they know what they get will be light, fruity and inoffensive. 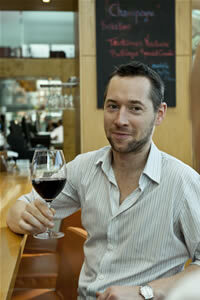 And that is fine if you see wine simply as little more than an alcoholic beverage of choice. But for those who drink wine because they enjoy it for what it really is- a drink like no other, with massive spectrum of aromas, flavours and textures, inoffensive equals boring. But fear not, because while Pinot Grigio may be the most visible on our shelves, the rest of Italy is producing some outstanding white. 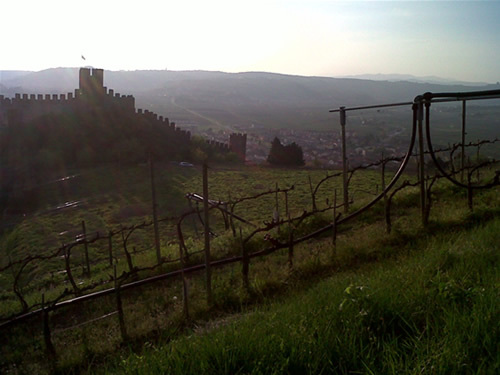 In fact, it is probably the most interesting white wine producing country in Europe today. There are many wines we could have chosen here but we’ve decided to go with one which seems to slip under the radar a little too often. Produced from the Cortese grape, Gavi di Gavi is one of Italy’s most highly rated white wines. Bone-dry, with lovely crisp apple, citrus and fresh almond flavours, this is flavoursome, refreshing and full of flavour. Why not remind yourself what wine can really taste like. 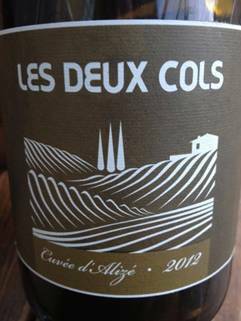 This is made by our good friend Simon Tyrrell, and reinforces our belief that Cotes du Rhone continues to overachieve when it comes to quality and value. Produced primarily from Grenache, this is a classic style, bursting with bramble fruit, spice and black pepper; it is full of flavour yet wonderfully soft. Good Cotes du Rhone – and there is an abundance of it – is probably the perfect all-round red wine, light enough to drink on a warm summers evening, yet flavoursome enough to satisfy those red wine cravings! of the D.O.C. and the increase in interest for Barolo in the early 1970s, that viticulture became economically viable. Aldo has gradually increased the area under vine to the current 40 hectares, ten of which are planted with Nebbiolo for his Barolo, located in such prized vineyards as Bricco delle Viole, Fossati, La Volta and Coste di Vergne. The vineyards are situated about 400 metres above sea level in the village of Vergne, in the commune of Barolo, on the western border of the zone. Vajra’s vineyards ripen later than many others in the zone, with the result that his Barolos have always been quite distinctive: wines with fresh and lifted aromas, showing a judicious acidity that balances the generous fruit to give a lively and crisp style. Aldo’s son Giuseppe was in ely winebar to host a tasting dinner, pairing their exceptional wines to our wonderful food! We kicked things off with their unique Langhe Bianco ‘Petracine’ , an old Latin name for Riesling. A pale lemon colour, it had a wonderfully zesty perfume, crisp apple and lemon fruit and a long clean finish. A perfect way to begin any evening! First of the reds was the Dolcetto, a grape Giuseppe suggested is often considered an ugly duckling in Piedmonte but he likes to think of it as a moody teenager- it needs constant attention and showering with love in order to fulfil its potential. This one certainly did – it possessed a wonderful depth of colour, a fragrance of blue and black berries and a herbal hint on the finish. The Barbera grapes are sourced from 6 vineyards; in 3 areas on 2 different soil types, and it is the blend of these that gives this wine it exceptional balance. Fresh berry and black cherry on the nose, the palate is ripe with crisp acidity and elegant tannins. Both wines were tasted alongside a first course of rose Veal meatballs, tomato broth and gremolata. The room was split over which worked better, but at a push, I’d have to choose the Dolcetto (it might be the moody teenager in me!). Then the main event – the ‘Le Albe’ and ‘Bricco delle Viole’ Barolos. The 2007 ‘Le Albe’ was unquestionably the ely staff pick of the night – yes, we all have to try them after work- and quite honestly one of the best value Barolos I have tasted in a long time. While 2007 may seem young for Barolo, the ‘Le Albe’ had a ruby-garnet colour and a wonderfully exotic nose of dried plums, cherries and floral notes. The palate showed typical Nebbiolo characteristics- excellent acidity and fine but persistent tannins- coupled with a rich, fleshy texture. More than simply accessible, this wine is extremely enjoyable now but no doubt has a long and bright future ahead. The ‘Bricco delle Viole’ vineyard is the jewel in the crown of the Vajra properties, situated 400 metres above sea level in the commune of Barolo and with many of the vines over 50 years old. The altitude and long ripening period gives the wine an aromatic complexity and ripeness not often found in Barolo. We were fortunate enough to have the 2003; showing a beautiful garnet colour and a complex nose of violets, rose, orange peel and dark cherry. The finely grained tannins, wonderful purity and depth of flavour, and impeccable balance are all hallmarks of this superb wine. Both wines were paired with roast breast of Barbary Duck, potato and truffle terrine, samphire and Madeira jus. And then came the surprise of the evening- Vajra Moscato d’asti. Light, effervescent and wonderfully fruity, this is one of the most refreshing things I’ve ever tasted. Passion fruit on the nose, clean sweetness on the palate, and, at only 5.5% alcohol, no limit to how many glasses you can have. While we tasted it with orange blossom pannacotta, it could just as easily be enjoyed on its own, the perfect end to a remarkable meal. 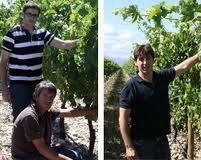 Our thanks to Giuseppe Vajra and Ben Reynolds (Liberty Wines) from for all their help. Looking for inspiration for Christmas day dinner? Some of our favourite wine-makers have sent us the tradional dishes from their region with, of course, the best wines to drink with them! 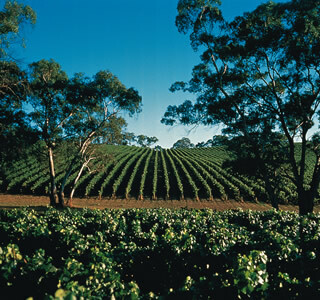 Our featured producers come from Rioja, Tuscany and Australia. Out of all the wine-makers who sent us in the Christmas traditions, the Hernaiz brothers who own Bodegas La Emperatriz in Rioja, is a Christmas we’d love to join in! If you love cooking and want to learn some more why not do our cookery course which includes a wine and food matching lesson with award winning sommelier Ian Brosnan. Eduardo Hernáiz, the owner of Bodegas La Emperatriz and his brother Victor recount their typical Christmas eve for us. Christmas time in Spain is about family. In Spain, most people still live within close proximity of each other so it isn’t unusual to celebrate Christmas eve or Noche Buena as we like to call it, with over 20 family members. Before settling down for dinner, I like to meet up with my closest friends at a local bar in Cenicero for a Christmas Champagne toast. After this, around 10:30 pm everyone in the family comes together around the dinner table to eat a traditional home cooked meal. Our Christmas eve dinner begins with a warm and tasty Consume soup followed by Cardo, which is a type of thistle that resembles a green Rubarb. After this, we eat chicken that has been raised our own Finca La Emperatriz estate. It is normally stuffed with a meat, truffle and bread stuffing and baked in the oven until golden brown. After this we eat Besugo, which is Sea Bream that has been cooked in the oven and then a light olive oil cooked with garlic and spicy dried chilies is drizzled on top. We finish it with Polvorones de Navidad, which are a type of butter cake made with flour, butter and sugar that can be a bit of a powdery mess. We also eat Turron, which is a type of nougat with nuts as well as Marizpan both can be quite sweet and delicious. Christmas eve dinner is all about family and we tend to stay at the dinner table eating until we can´t eat a morsel more. At this point, usually well into the early hours of the morning, we head to bed, only to eat left overs the next day for Christmas Day. Merry Christmas! The 2 brothers and their families toast Christmas with the best wines from their estate Bodegas La Emperatriz, Rioja Alta ‘Pacela No1’ , along with other wines from their range. One of our favourite Brunello di Montalcinos comes from Cantina di Montalcino. 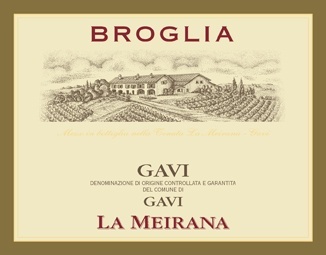 Made exclusively from Sangiovese it is rich, elegant and spicy with cinnamon, figs, cherries and pepper aromas. Although Tuscany is famous for Chianti, Brunello is the certainly the king of the region: made from the best grapes available and aged in Slovenian oak for 3 years followed by 2 years in bottle before release. 2006 vintage is a open and expressive and has a sumptuous silky texture. The traditional Christmas lunch in Tuscany is a 5 course affair with everything from veal ragu made with home-grown tomatoes, chicken liver pate and roast boar! Giacomo Alari of Cantina di Montalcino is a born and bred Tuscan and below is his typical Christmas dinner menu. 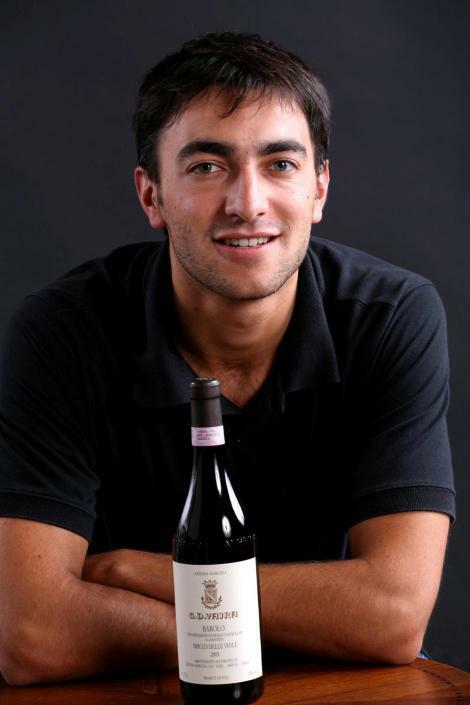 Giacomo Alari will also be presenting our Italy wine tasting night on the 22nd February. Tickets are limited, please contact wineclub@elywinebar.com for more details. Poggio al Tesoro is located in Bolgheri – home of the Super Tuscan. Originally made famous back in the late 1970s with wines such Tignaello and Sassicaia, the area has the ideal soil and climatic conditions to grow international varieties such as Cabernet, Merlot and Shiraz as well as the Italian Sangiovese. ‘Sondraia’ is one of our favourites from Poggio al Tesoro and it easily rivals a top French classic: made from the typical Bordeaux blend of Cabernet Sauvignon, Merlot and Cabernet Franc it’s plush, warm and full, with velvety, ripe tannins giving structure to the ripe, plummy fruit on the palate. Lovely touch of rosemary and eucalyptus on the finish! 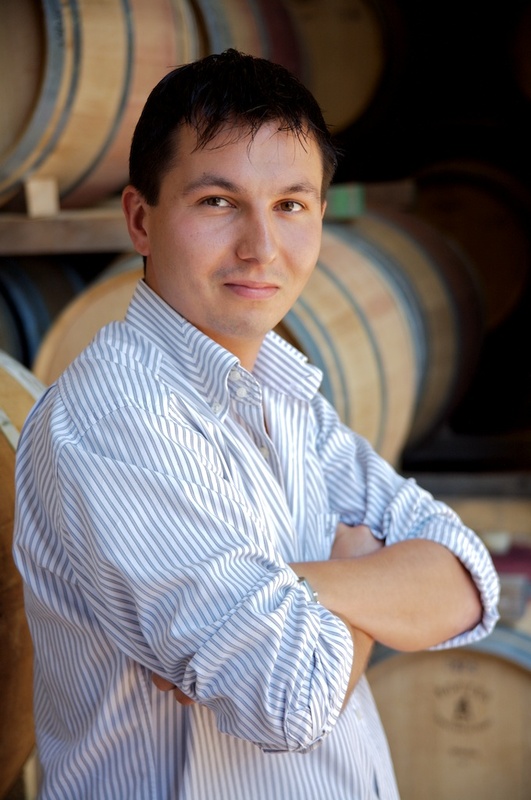 The head winemaker, Nicola Biasi (pictured below) recommends Wild Boar Stew with Sondraia and has kimdly given us his family recipe! Marinate the meat in the red wine, chopped garlic and vegetables, bay leaf and chilli. After 8 hours, remove the meat and vegetables and conserve the marinating juices. Heat up some olive oil in a pan and sauté the vegetables. Add the meat, season and brown for a few minutes on a high heat. Add a ladle of the marinating liquid and let it reduce down. Turn down the heat, add the tomatoes and cook for about two hours, stirring occasionally so the meat doesn’t stick to the pan. If necessary add some water or more of the remaining liquid. Season and serve hot with a glass of Sondraia. Shaw and Smith was founded in 1989 by cousins Martin Shaw and Michael Hill Smith. Martin Shaw is one of the original flying winemakers and Michael Smith is not just Australia’s first Master of Wine, he is also a Cordon Bleu trained chef! This Christmas Martin Shaw will be having: Snapper Ceviche with mint, watermelon and fetta salad to accompany 2009 M3 Chardonnay. What a delicious dish to have with 2009 M3: it’s one of the most iconic Chardonnays made in Australia and with it’s cool fruit, restrained use of oak and a depth and elegance that is only comparable to a Puligny Montrachet. This skill in wine making perfectly captures the new approach Australia has taken in the last 10 years. If you are looking for a white wine to have this Christmas, we recommend this! Thanks to all of our producers for sharing their Christmas traditions with us. Want some inspiration in the kitchen? Why not do our cookery course? We kick start each lesson with a glass of bubbly and afterwards serve up the dishes alongside a selection of wines whilst award-winning sommelier Ian Brosnan gives a food and wine matching lesson. It’s the perfect Christmas gift for your mom, sister or girlfriend! 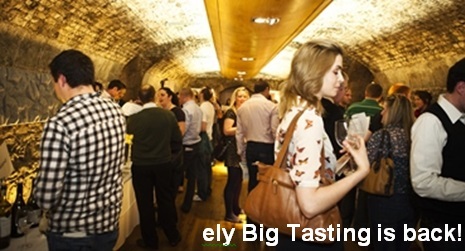 Please contact wineclub@elywinebar.com for more details or call Michelle Lawlor on 01 676 8986 for more details.